Titanium clad copper is a composite material which has a copper core and titanium layer. This structure allows it can carry high current in corrosive processes. 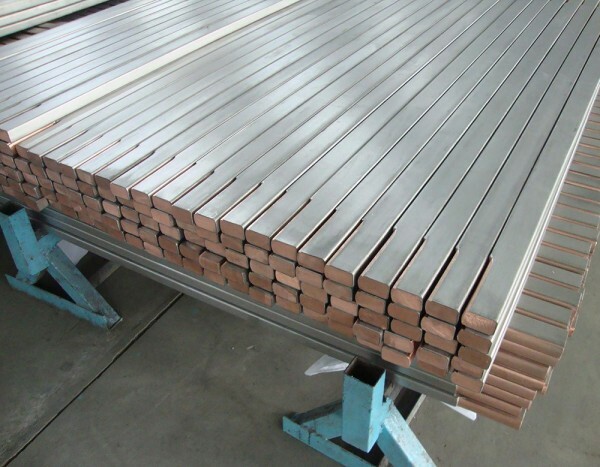 Sometimes it is also referred to as Ti clad Cu, Ti/Cu, Ti clad copper, Ti-clad Cu, Ti-Clad copper, Titanium coated copper, Titanium plated copper. HEXON produce titanium clad copper products by hot extruding, drawing, or explosive cladding + hot rolling, which can ensure an optimal metallurgical bond between the copper core and the titanium coating, and as a result of gaining a higher compact rate and sheared strength. 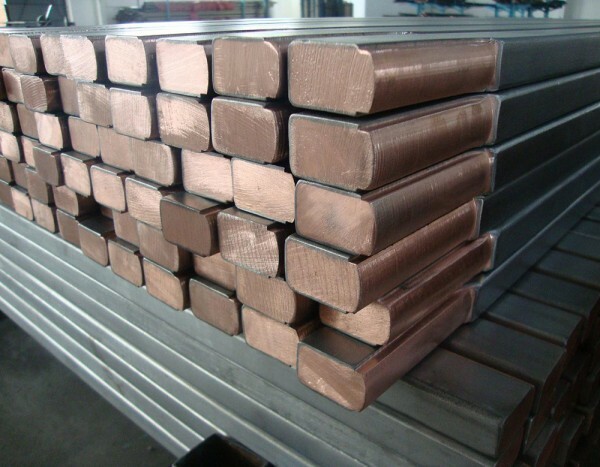 Because of the fantastic combination of copper and titanium, titanium clad copper owns both excellent conductivity and strong corrosion resistance. In addition, Ti-Clad-Cu also presents good weld-ability and ductility for further forming and shaping. 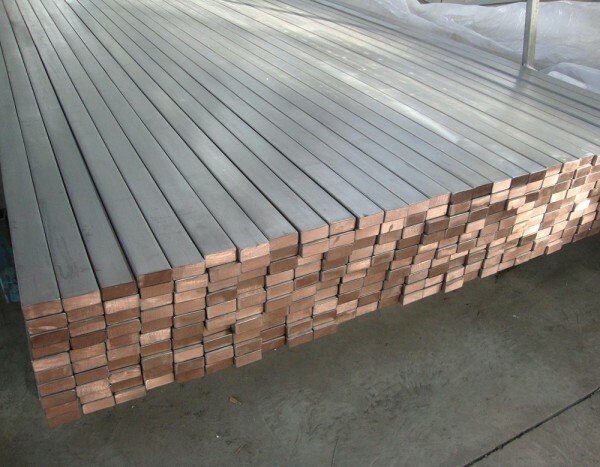 All those remarkable properties make titanium clad copper products typically used in electrochemistry, chlor-alkaline electrolysis, chromium-plating baths, galvanizing lines, and wherever high corrosion protection and high current-carrying capacities are required. Besides Ti-Clad-Cu, we also can supply different core metals such as Carbon Steel, Stainless Steel, different clad metals such as Zirconium, Nickel and other metals against customers’ specific demands.